Does voice chat help or hurt League of Legends? Riot Games recently added a voice chat feature to League of Legends that has players split on whether or not it's useful in game. Voice chat is currently only available for pre-made parties. This means in Ranked Solo/Duo, you can only be in chat with one other person. For parties larger than that looking to play Ranked, they'll have to go Flex. In Normals, you are able to have an entire party within the game and voice chat at the same time. 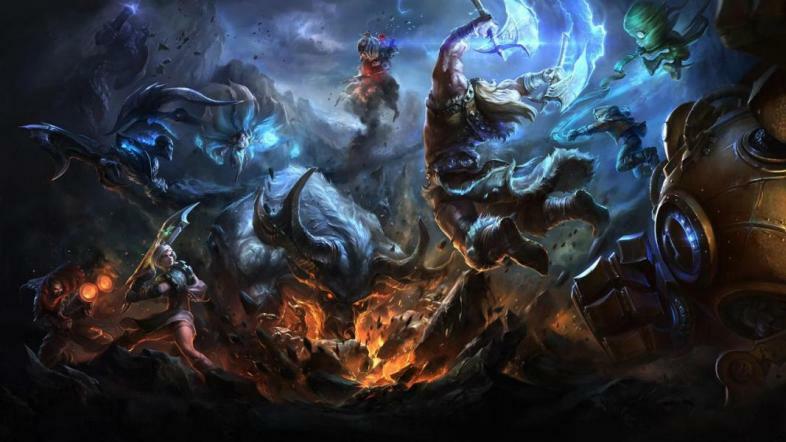 The addition of voice chat has received mixed reviews from League of Legends players. Many have said that it's pointless since they already use Discord. Discord is by far the most popular voice and chat app for gamers with nearly 100 million users worldwide. Skype and Teamspeak are also popular choices among gamers for better communication and coordination. However, there are several arguments in favor of utilizing voice chat in game. The firrst is that it can reduce ping since running an entirely separate app can wear down the speed of computers. In a recent YouTube video, Ghost To Lane gave viewers a walk through in which his friends also felt that the audio quality was better than Discord as well. Players can also adjust audio settings right within League's client instead of Alt-Tabbing out during a game to raise or lower the volume of people within the party. Another debate among League players is how toxic a teammate will be in voice chat versus text chat. While it may hurt more to hear a negative comment rather than read it, players are less likely to actually say something when tilted or salty. League of Legends is notorious for having one of the most, if not the most, toxic communities. Riot Games has taken steps to address toxicity, including using positive reinforcements like the Honor system to reward players who work together. They also have a reporting system and ban players with repeated offenses, However, the game also recently unbanned Tyler1, an immensely popular stream who had his share of bad blood with both Riot and the League community. Regardless, League still has some bugs to out with the chat feature. Players have posted on Riot's message boards that the game audio doesn't work when voice chat is on, they have trouble using the chat feature with bluetooth headphones, and that the chat disconnects randomly. 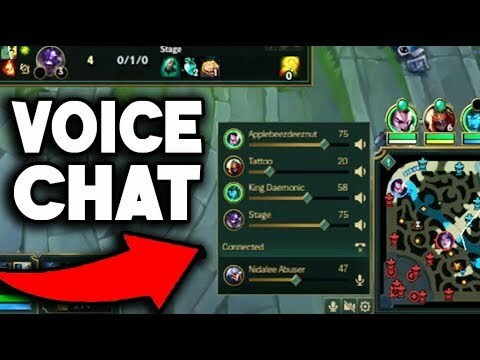 How do you feel about voice chat in League of Legends? Let us know in the comments below! Gina was born with a controller in her hand and grew up alongside her good friends Mario, Samus, Link and Zelda.